Its 4 geometrical and colourful shapes catch Baby’s eyes, while playing and sliding them around the main ring. 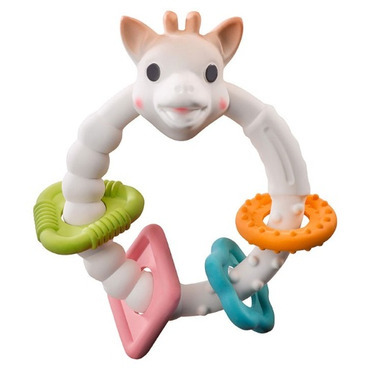 I bought this for my daughter when she started teething at 4 months. It was easily to hold and offers different places to chew. She still loves playing with it now at 7 months. The product is easy to clean!